Here's a superb new online slots game that should be on your bucket list. 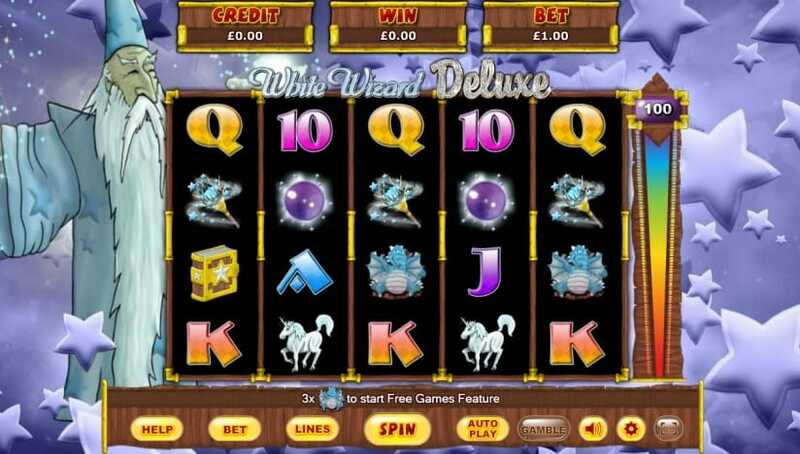 White Wizard Deluxe is an online slots game by developer Eyecon. It is a squeal to the popular White Wizard that proved to be a huge success. The online slots game is against a starry background with spellbinding music to keep you going. The symbols are aptly magical and the White Wizard who functions as a Wild grows at will to take over reels in their entirety. The game is big on Free Spins, giving players up to 25 Free Spins. 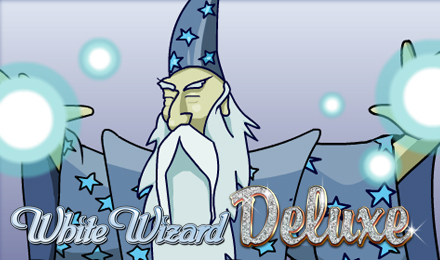 White Wizard Deluxe a sequel to the original White Wizard recaptures the same magic with a feel new twists. With a towering Wizard in mystical white, a starry backdrop, and Harry Potteresque music, players are all set to go. The reels display playing cards (9 to Ace), and also symbols of the Wizard and his wizardry. Such as the White Wizard himself, his Dragon, Wand, Cauldron, Crystal Ball, Spell Book, and Unicorn. The White Wizard represents the Wild Symbol in this game. Like all other Wilds, the White Wizard can take the place of any symbol except for the Scatter (Dragon). The Wild in White Wizard Deluxe only appears on reels 1, 3, and 5. Also, any winning combination that uses the Wild Symbol is accompanied with a 3x Multiplier. slots in the whole reel, which significantly increases your chances of landing winning combinations. The Free Spins Round gets triggered when you land 3 or more Scatters (Dragon). The number of Free Spins you receive correspond to the number of Scatters you land. 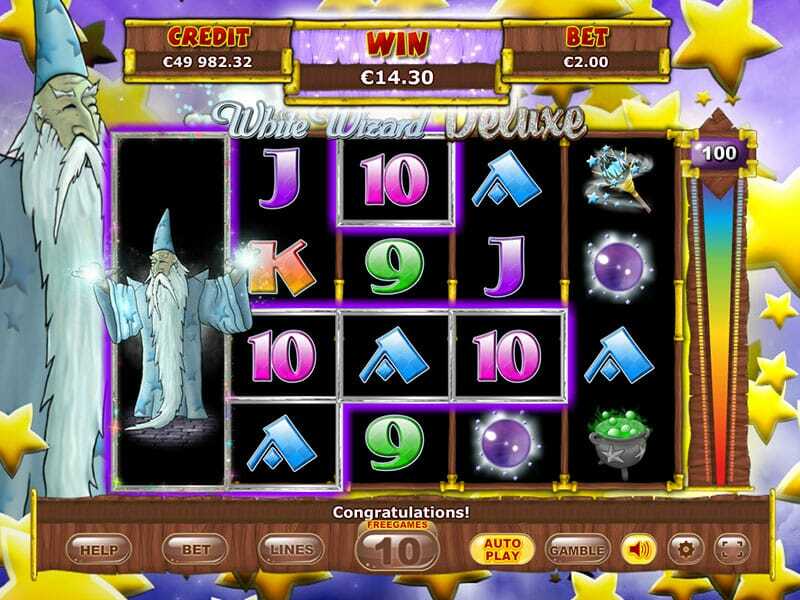 White Wizard Deluxe is a magical themed online slots game with tons of opportunity for Free Spins and Expanding Wilds. The bearded Wizard grows to entire reels in their entirety, which is a delight for both the eyes and the pocket. If you were a fan of the original White Wizard you should definitely try out Eyecon’s newer version; and if you have not tried the first version, do give this one a go – after all, it is not all that difficult falling in love with an older bearded man with mojo spewing from his fingertips.